Belmont Village Gerontologist Presents at 2016 Alzheimer’s Association International Conference. 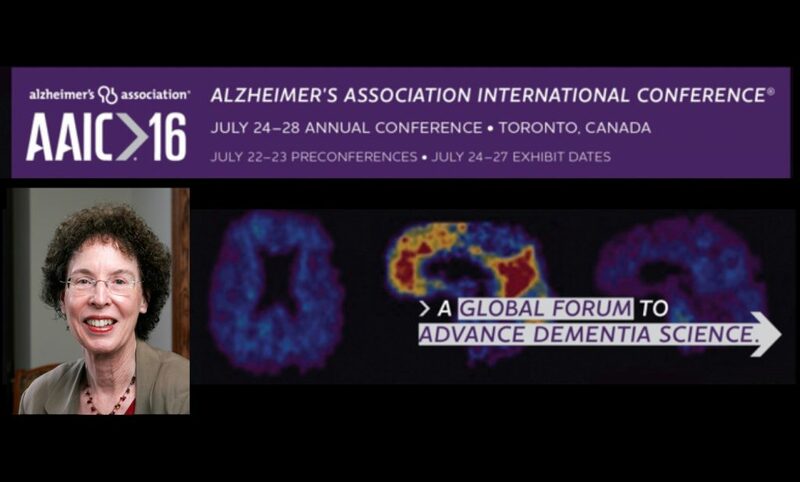 Beverly Sanborn, LCSW, Belmont Village Senior Living gerontologist and vice president of program development, presented at the prestigious Alzheimer’s Association International Conference (AAIC) held July 24-28 in Toronto, Canada. Sanborn joined a panel of experts to discuss the improvements in dementia care practice and presented the results from a comprehensive program evaluation that tracked the effects of Belmont Village’s Circle of Friends®, a proprietary whole brain fitness program for residents with mild cognitive impairment (MCI) and early stage dementia. The program evaluation model was developed in collaboration with Vanderbilt University’s Center for Quality Aging and takes a quantitative measure of resident apathy. Apathy, or lack of interest, is a very common and significant problem in patients with dementia and is linked to accelerated physical or mental decline. “Everything we’re hearing and seeing these days points to the importance of consistent participation and engagement. So it’s not just enough to develop smart programs, you have to keep them fresh and make sure that you’re holding your group’s interest,” said Sanborn. Belmont Village conducted the evaluations across 23 of their communities, comparing the daily activity participation levels of residents in the Circle of Friends program with a matched set of non-enrolled residents. Circle of Friends is a structured, 7-day-a-week program that includes activities in five areas: aerobic/weight exercises, 6 domains of cognitive functioning, heart-healthy diet and social connections. The results show that Circle of Friends participants spent significantly more time engaged in purposeful activities (no apathy) relative to the control group. The next step will be a one-year, longitudinal comparison of activity participation and cognitive functioning for both groups. The AAIC is the world’s largest forum for presentation and discussion of the latest Alzheimer’s and dementia research and brings together approximately 4,500 leading experts and researchers from nearly 70 countries around the world.